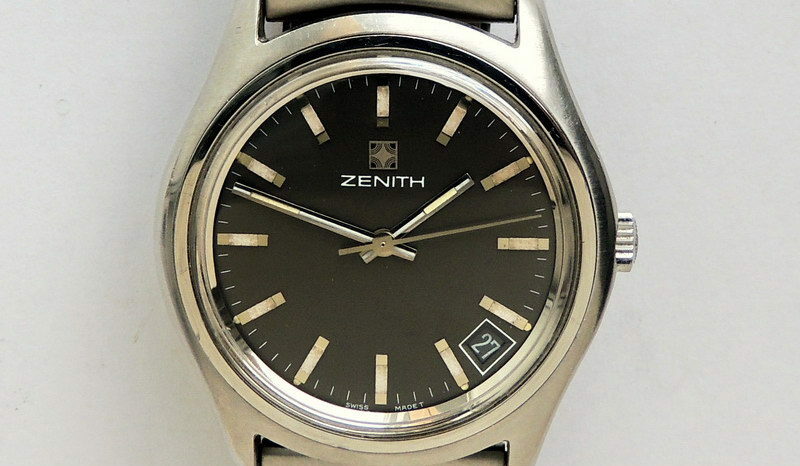 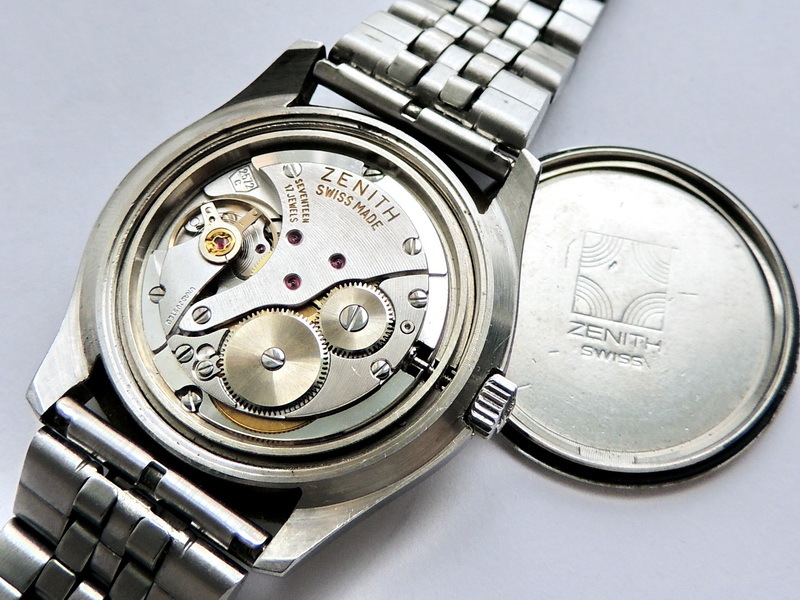 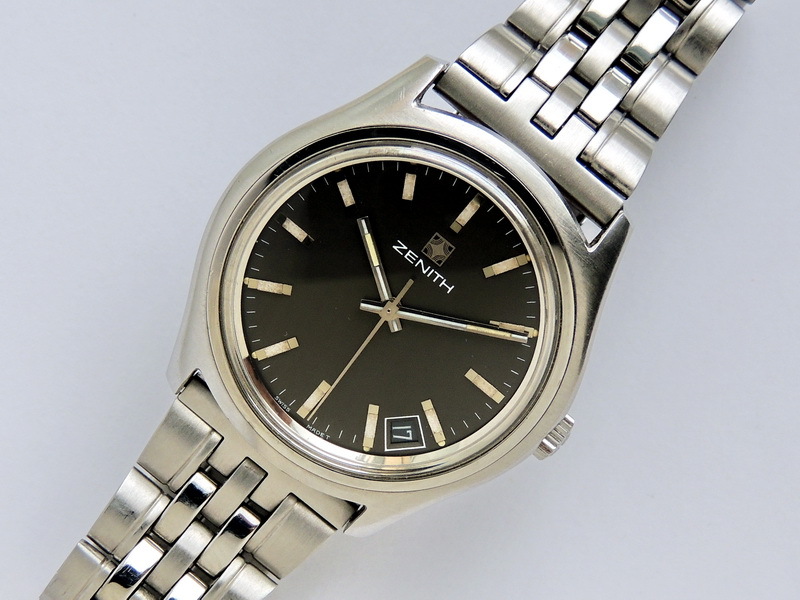 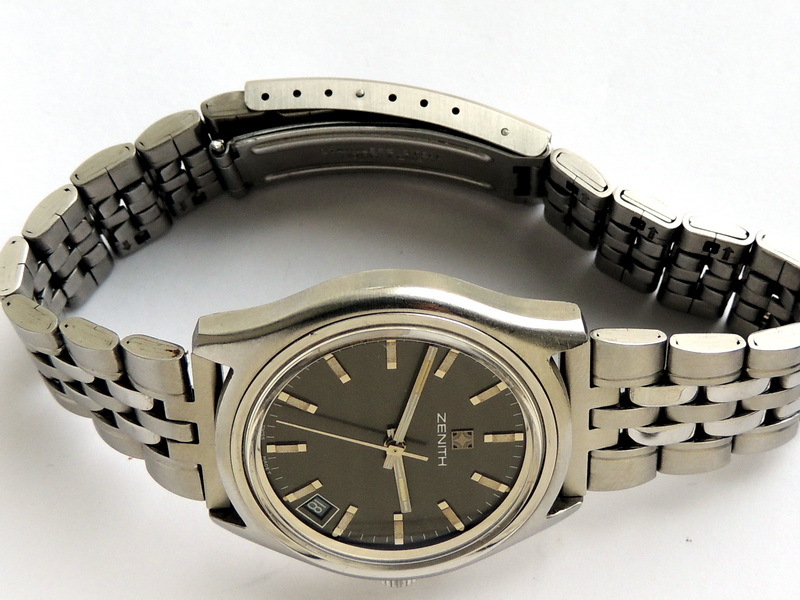 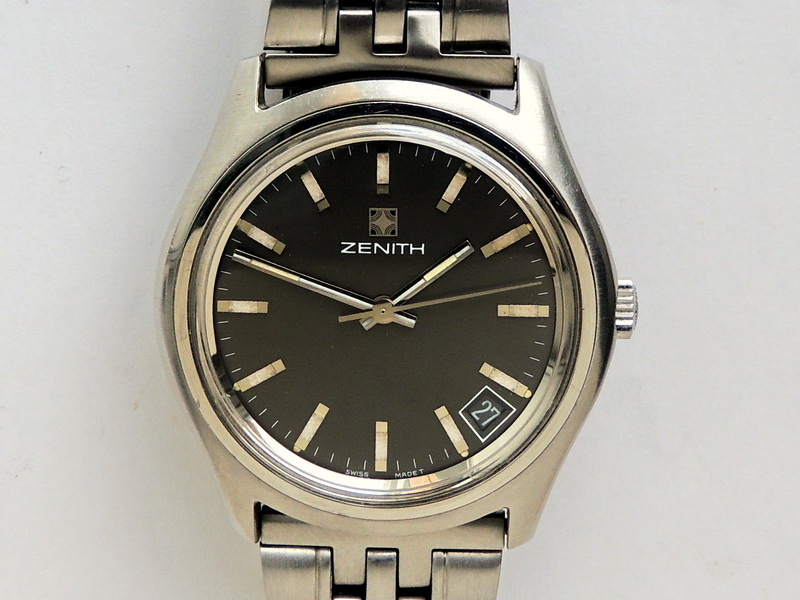 Perfectly fit vintage ZENITH SURF in stainless steel case. 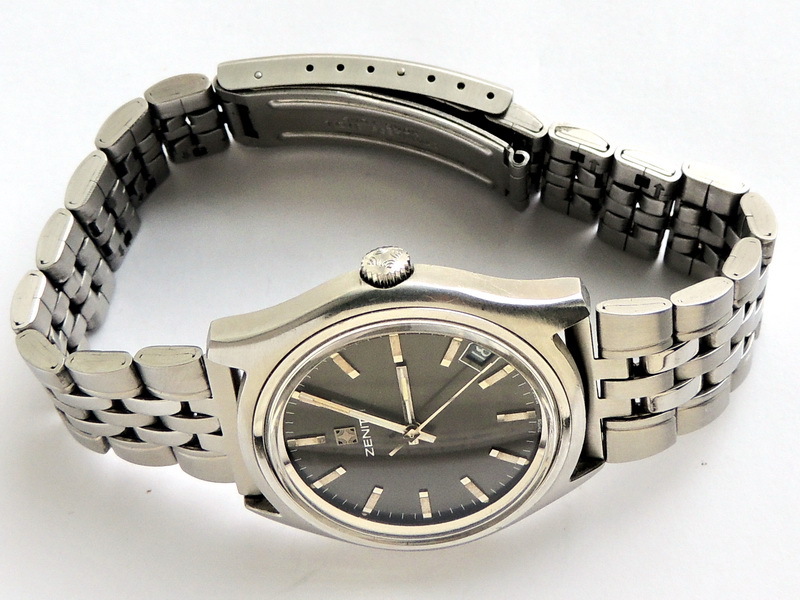 Original unpolished and unrestored condition. 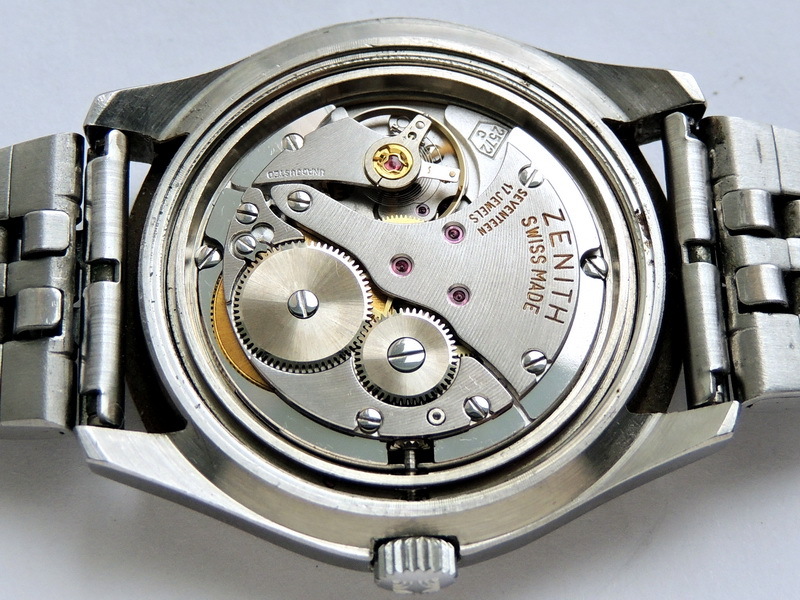 Case diameter is 36.5 mm. 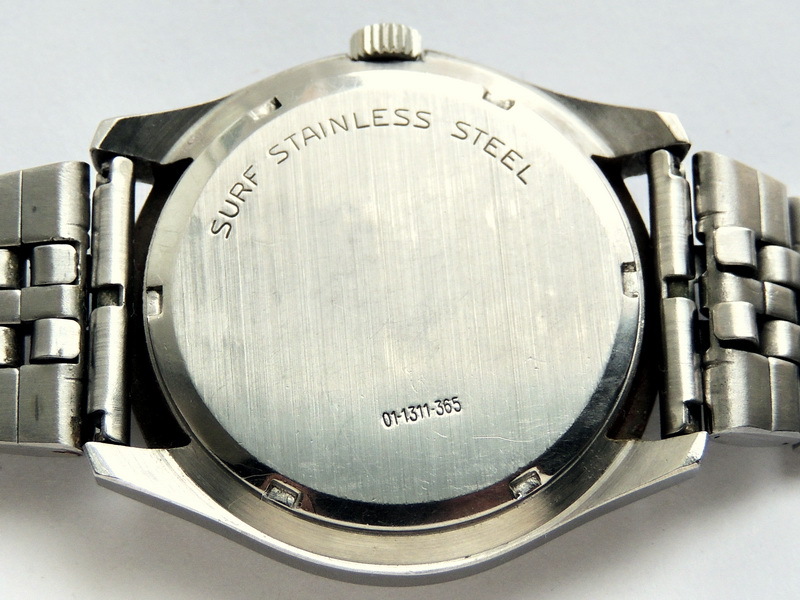 Signed screwed caseback, original signed crown with logo. 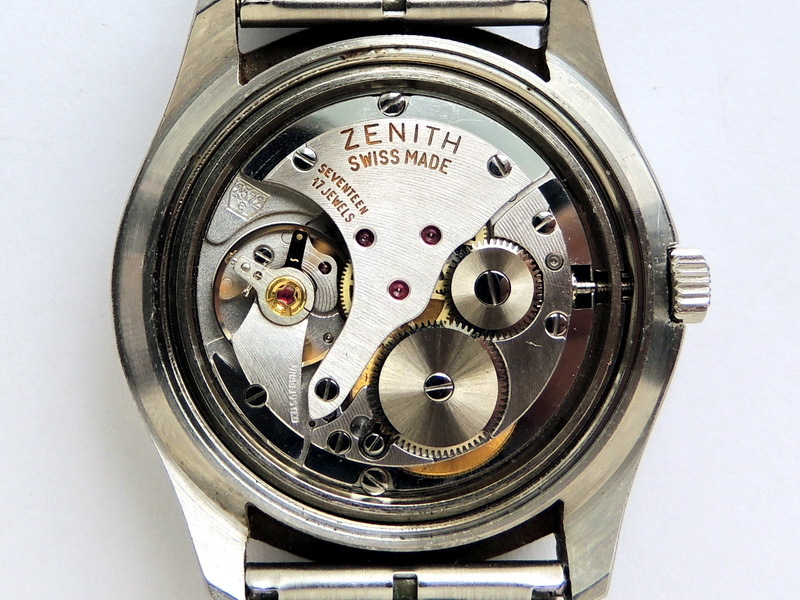 Manual wind movement in near-perfect condition.